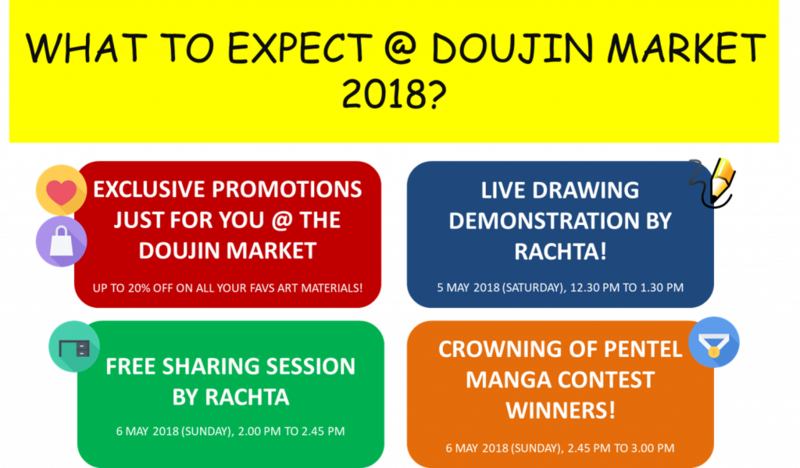 Pentel Singapore is proud to mention that we’re the Official Stationery Partner of Doujin Market 2018! Come join us on 5 or 6 May 2018 if you are a fan of art, illustration, an artist or creator, or someone in the creative industries. We have lined up exciting promotions and program for you on this event! Doujin Market (or Doujima) is Singapore’s largest pop-culture inspired youth arts fair. It celebrates doujin – fan communities passionate about creating art, the original and derivative fan works that they produce, and their aspirations for self-publishing. 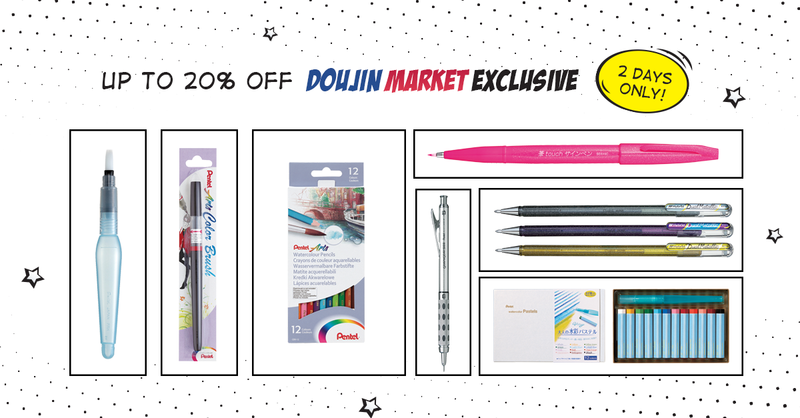 Just @ Doujin Market, enjoy up to 20% OFF on your favourite art materials! 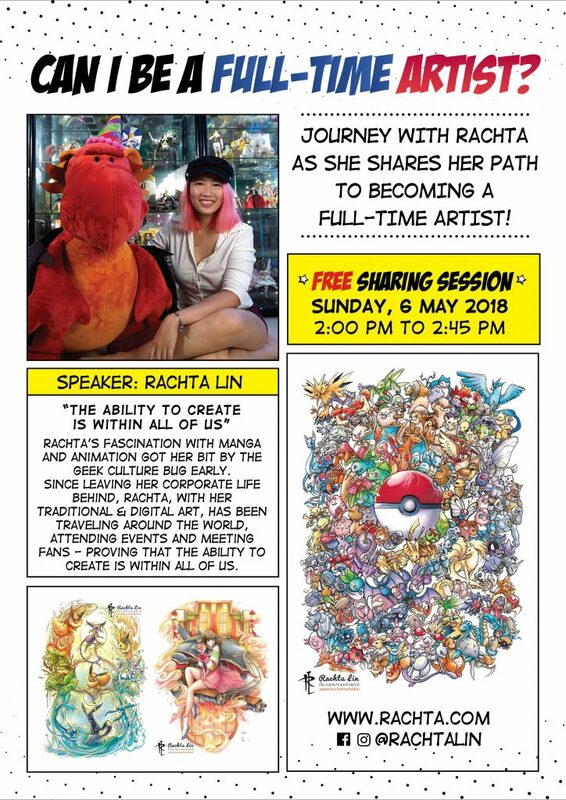 FREE Informative seminars where experienced industry veteran, Rachta will share her experience and even offer tips for those wanting to get started in the creative industry. 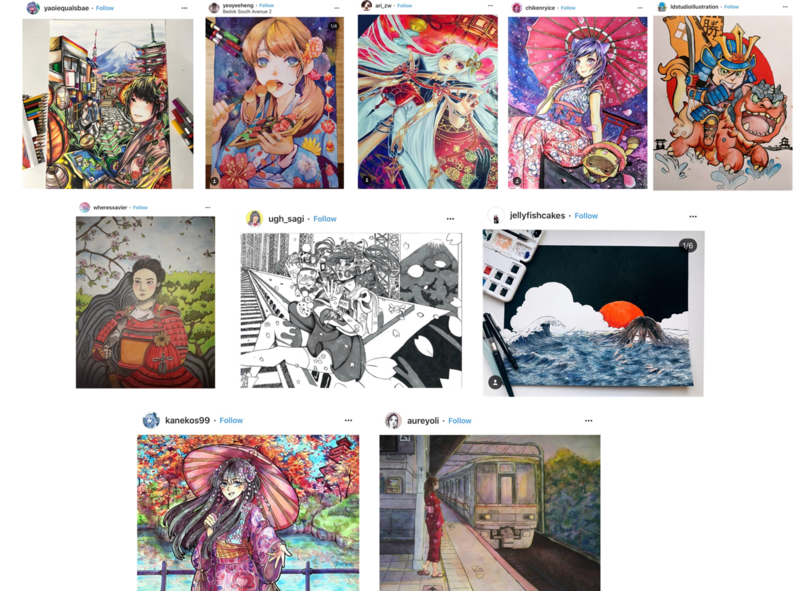 Vote for your favourite artwork from these 10 finalists and help us decide on the winners! Save the dates and we shall see you @ the event!